Have you ever had one of those days where you’re so busy, you finally glance at the clock only to realize it’s 5 pm and you haven’t even thought about what’s for dinner? I have those days regularly! 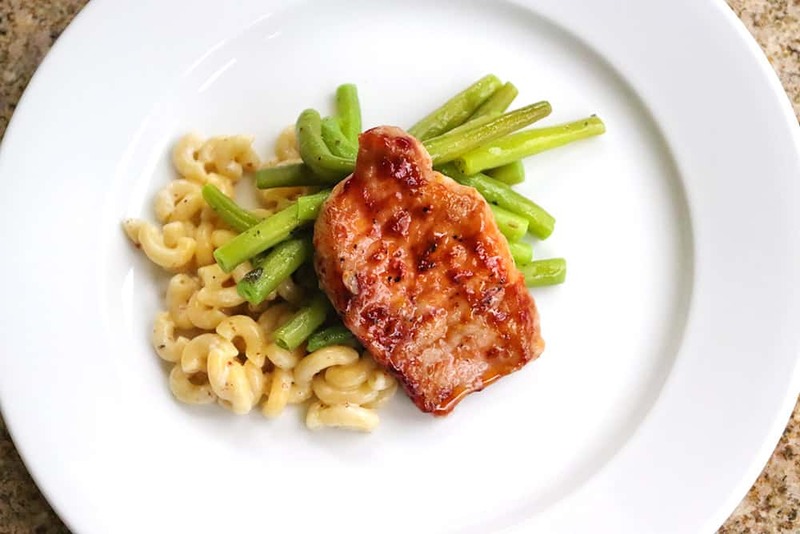 I have learned how to condense my favorite meals into 30-minute recipes and wanted to share a new one with you – Cherry BBQ Sauce Pork Chops! It’s hard to believe, but I’m sending my daughter off to 3rd grade in less than 2 weeks! I’ve been trying to get back into the routine of school days by planning 30-minute meals that are nourishing, flavorful, and most of all, easy! I decided to stock-up on essentials at my local Walmart, which helps me stretch my grocery budget while preparing for busy weekdays. One of my favorite things to keep in my fridge and freezer is Smithfield All Natural Fresh Pork. This is my go-to protein for easy weekday dinners because Smithfield® is Guaranteed Tender. They hand-select cuts based on marbling and color, and their meats are USDA Verified. Their product is also proudly raised in the USA. 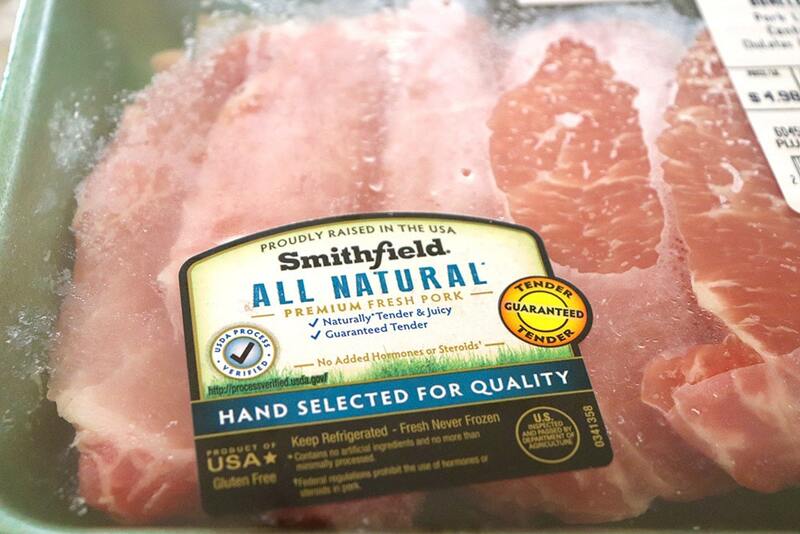 Having healthier ingredients in my home has been a priority for me, since my kids were born, so I appreciate that Smithfield All Natural Fresh Pork is always free from artificial ingredients, preservatives, steroids, and hormones. You can really taste the difference! It was about 7 years ago that I stopped buying pre-made bbq sauce. 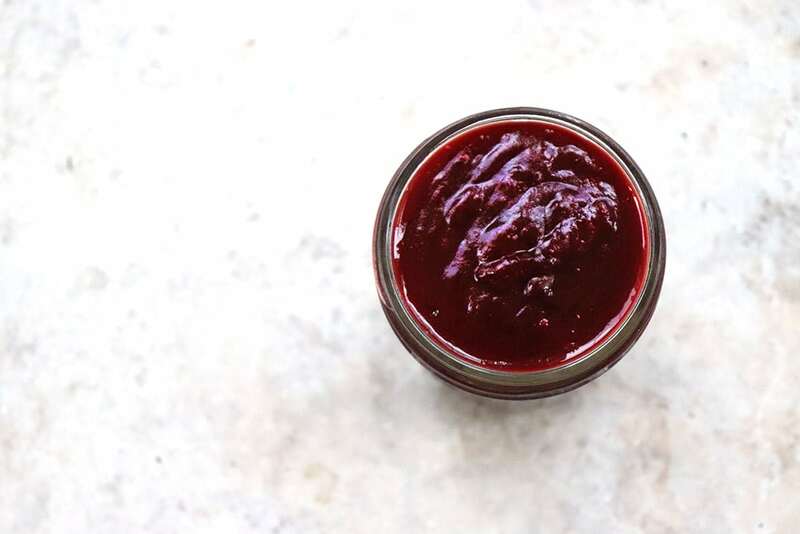 I remember feeling frustrated that so many brands of bbq sauce contained ingredients I didn’t want in my kitchen, like high fructose corn syrup, so I decided to learn how to make my own. You can find my go-to recipe for a classic homemade bbq sauce here, but with cherries in season (and really affordable! ), I wanted to make a homemade cherry bbq sauce. The cherries add a nice sweetness to the sauce, and a pinch of red pepper flakes gives it just a slight kick to elevate the flavor. This cherry bbq sauce pairs perfectly with pork! 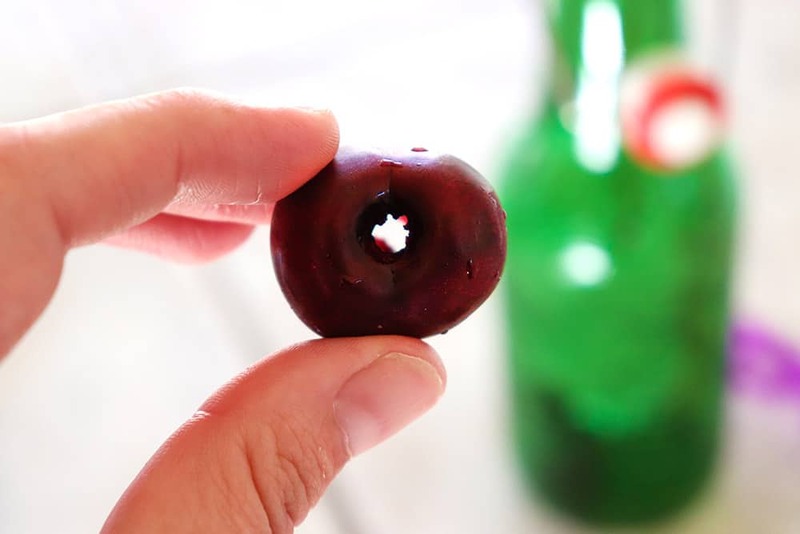 Since I promised you a 30-minute dish, I wanted to share a super easy hack on how to remove the cherry pits from cherries. 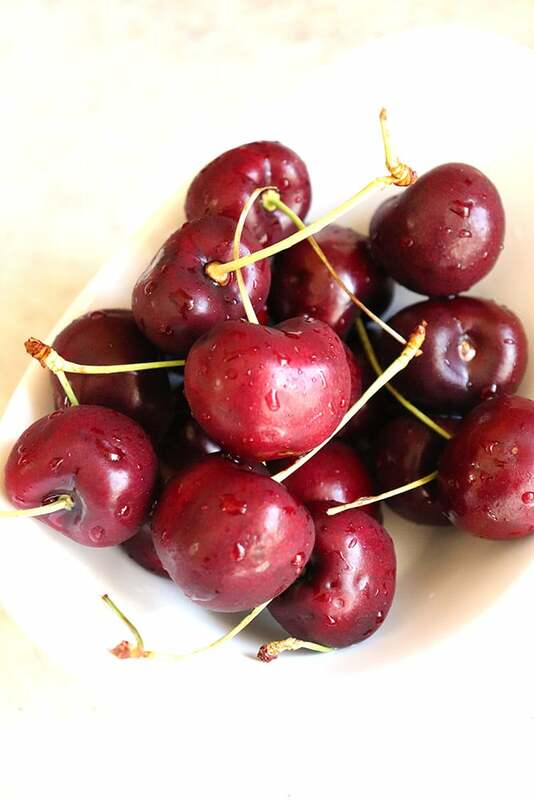 You’ll start by washing and removing the stems from 2 cups of cherries. Then place a cherry on the top of a disposable water bottle or a glass bottle with a narrow opening (my kombucha bottle is shown below). 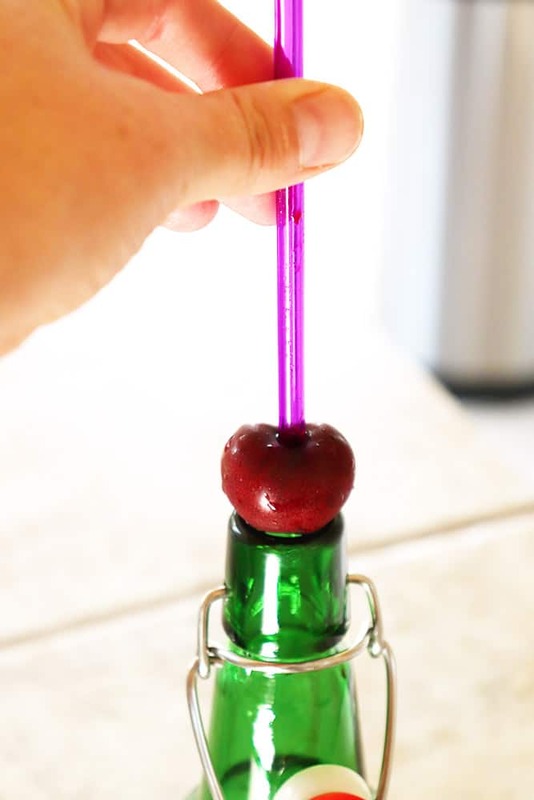 Place a straw at the top of the cherry, then push down into the cherry. 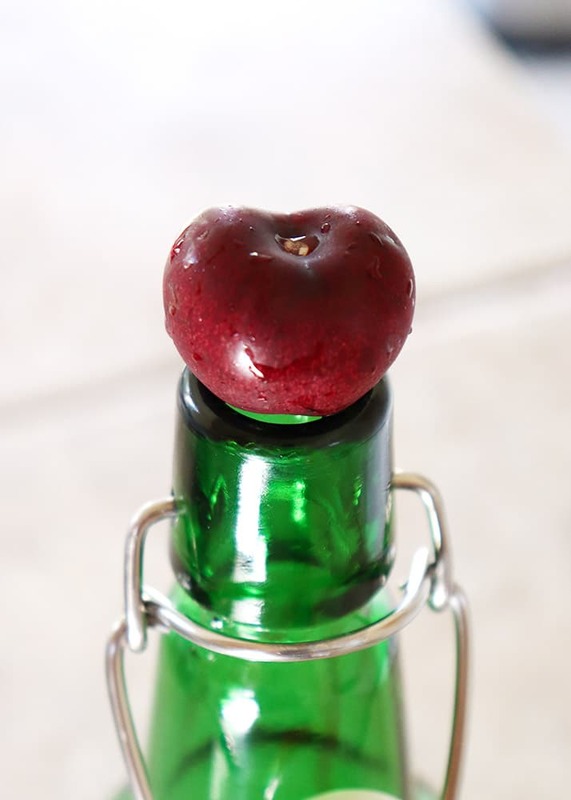 You’ll force the pit into the bottle, leaving you with two cups of pit less cherries in about a minute and a half! Because Smithfield All Natural Fresh Pork is great on the grill, I decided to pair my homemade cherry bbq sauce with Smithfield All Natural Boneless Pork Chops. 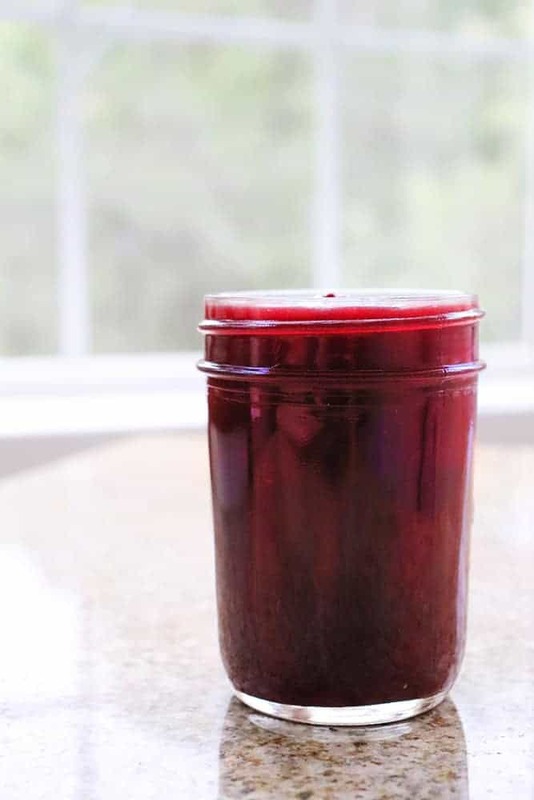 To make the cherry bbq sauce, you’ll combine cherries, water, brown sugar, balsamic vinegar, tomato paste, minced garlic, salt, and red pepper flakes. This mix simmers for about 10 minutes, then is blended and thickened with corn starch. This recipes makes more than you’ll need for your pork chops, so I recommend dividing it into two containers: one for using on the cherry bbq sauce pork chops and the other to use for another easy weekday dinner. The sauce will keep in the fridge for 2 – 3 weeks. Just make sure to discard any remaining cherry bbq sauce that was used to baste the pork chops. You can even recreate this same meal a week later, and with the cherry bbq sauce already made, it’s really a 10-minute meal! Smithfield® is guaranteed tender, whether you’re cooking on the grill, Instantpot, slow cooker, or oven, so don’t be afraid to mix it up! 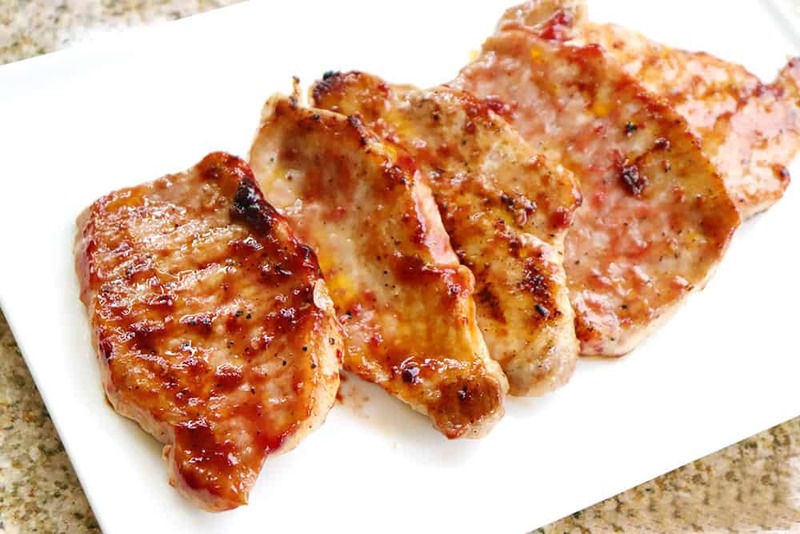 Once the bbq sauce is made, you preheat the grill to medium-high, brush the grate with a little oil (I prefer olive) and grill the Smithfield All Natural Boneless Pork Chops for 3 -5 minutes per side. You’ll brush each side of the pork with bbq sauce 1 – 2 minutes before it’s done. Combine cherries, 2/3 cup water, brown sugar, balsamic vinegar, tomato paste, garlic, salt and red pepper flakes into a small saucepan over medium heat. Bring to a boil, then reduce heat to medium. Simmer for 10 minutes, until cherries have softened. Transfer to a blender and blend until smooth. Return to the pot over medium heat. In a small bowl, combine corn starch with 1 tbsp water. Mix well, then pour cornstarch slurry into the bbq sauce. Stir well until sauce has thickened. Divide the sauce into two containers. Half of the sauce can be used for the pork chops, and the other half can be stored in the refrigerator for 2 - 3 weeks. Discard any remaining sauce that was used to baste onto the pork chops. Lightly oil the grate of the grill. Place pork chops on preheated grill and cook until no longer pink in the center, about 3 - 5 minutes per side, depending on the thickness of the pork. Two minutes before the pork is done, brush on a good layer of the bbq sauce onto each side of the pork chops. When internal temp of the pork reaches 145 degrees, it's ready. Want to pin this for later? Just click on the image below to save it to your favorite 30-minute dinner Pinterest board! 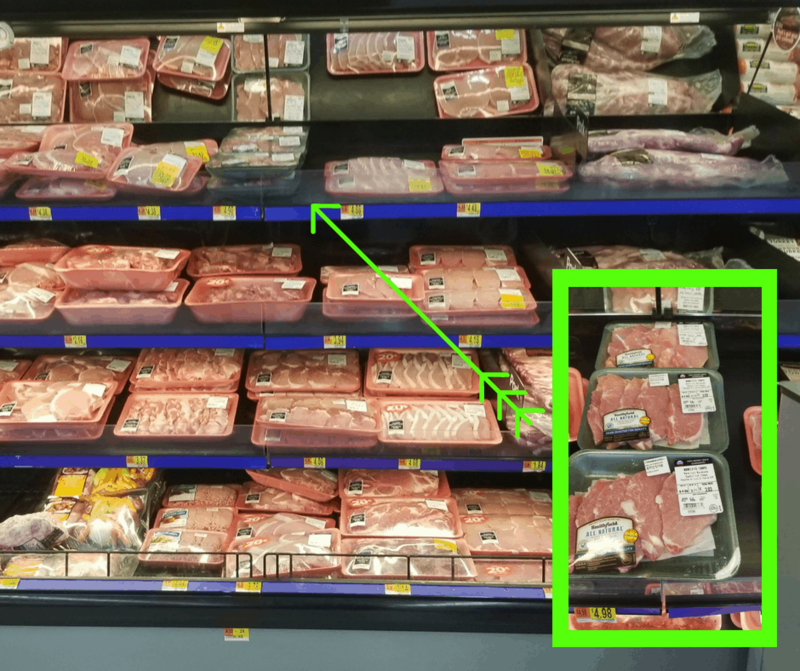 You can pick up Smithfield All Natural Boneless Pork Chops at your local Walmart! Just look for the green packaging to ensure you’re getting the best cut of protein. Smithfield® is guaranteed tender! Want more 30-minute meals to help you get back in the routine when school starts? Check out all of these delicious 30-minute recipes!